Colt SAA Grips There are 9 products in this category. Fits : Single Action Army Colt SAA Sambar Stag Grips Requires custom fitting!!! 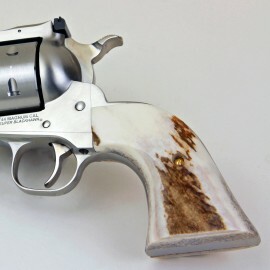 Colt SAA Sambar Stag Grips Requires custom fitting!!! Fits : Single Action Army Colt SAA Black Ultra Pearl GripsRequires Custom Fitting!!! Colt SAA Black Ultra Pearl GripsRequires Custom Fitting!!! Fits : Single Action Army Colt SAA Kirinite Antique Pearl Grips Requires Custom Fitting!!! Colt SAA Kirinite Antique Pearl Grips Requires Custom Fitting!!! Fits : Single Action Army Colt SAA Kirinite Ivory GripsRequires Custom Fitting!!! Colt SAA Kirinite Ivory GripsRequires Custom Fitting!!! 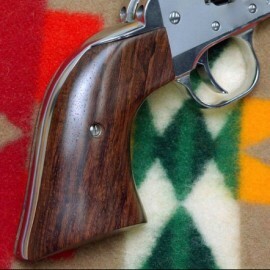 Fits : Single Action Army Smooth Rosewood Grips for Colt SAA Revolvers Requires custom fitting!!! 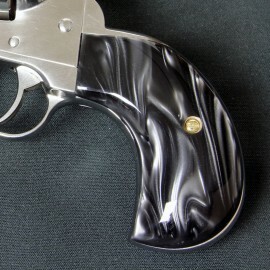 Smooth Rosewood Grips for Colt SAA Revolvers Requires custom fitting!!! Fits : Single Action Army Colt SAA Ultra Ivory GripsRequires Custom Fitting!!! Colt SAA Ultra Ivory GripsRequires Custom Fitting!! !